We've got more than 1,200 free templates! 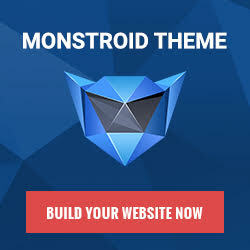 Free website templates is a reasonable solution to start your own online business. Today you are lucky! Meet WebsiteTemplatesOnline.com - the place where renowned web designers share their website templates absolutely for FREE! Website Templates Online team offers the premium quality free website templates that are ready and waiting for you to customize. Any of the free web templates in our collection is available for immediate download. If you are a web designer and want to spread your amazing free website templates, Website Templates Online is just the right place - let us spread the word about your web design awesomeness. Free website templates from WTO are free to use for any purpose without any limitations or obligations, provided you keep the links in the footer intact. Enjoy browsing our collections of free website templates and premium designs - you are sure to find the website template to your liking. Due to the fact that our collections are growing daily, be sure to come and check back often for more Free Website Templates and Premium designs.